With the death of a dog in flight, it may be time for the United Airlines board to revisit their brand’s values and vision, and the importance of living up to them. United’s customer service curse struck again last week with the death of a passenger’s French bulldog, after the flight crew forced the pooch to be placed in an overhead bin on a Houston to New York flight. And just a day afterward, the airline goofed again, accidentally shipping a Kansas City-bound family’s German shepherd to Japan. According to U.S. Department of Transportation figures, United’s death and injury rate for animals in transport is more than double that of all other U.S. airlines. When 62% of American’s own a pet, the result is a body blow to public confidence in United. No doubt a mega-enterprise like United has plenty of people and systems to blame for abusing their consumers and damaging their own brand. But such a widespread failure cannot be separated from United’s overall corporate culture. This meltdown starts at the very top – the United Airlines board of directors has the opportunity to ask management to come up with a plan to change the culture to passenger centric. United is one more dismal example of corporate culture not putting the customer first. Their net promoter score is one of the lowest in the industries, and their Glassdoor employee score shows a serious lack of morale (as an example of the latter, last week United management tried limiting worker bonuses to a “lottery” system, which stirred employee outrage). All of this translates into a terrible experience both for passengers and the workers who interact with them. For a public corporation, public image is a fiduciary concern. If United is viewed as the airline that treats people like animals (and animals as expendable), the result is loss of consumer loyalty, which drives down ridership and inevitably hurts the stock price. The United board members must take this breakdown seriously, and mandate a cultural reboot. Company culture, starting with tone at the top, is always the ultimate driver of company performance, no matter the business model. As Peter Drucker wrote, culture eats strategy for breakfast. The lack of empathy and concern for their customers and passengers is hurting the shareholders, and the United board has the opportunity to make serious changes in the culture. • The board first needs to insist on retraining for all of their employees to become more customer-centric. And while they’re at it, directors can hold management’s feet to the fire for regaining the trust of those customers. In any consumer business, both customers and employees are ultimately stakeholders, with power to make or break the company. • The board should also set specific numerical metrics to measure and improve company culture. The compensation committee can tie significant portions of the leadership team’s pay to these metrics. For examples, the net promoter score for customer satisfaction, measurement of customer complaints, and retraining of all of customer-facing touchpoints are among cultural measures that can be objectively scored. Some of these reforms will be a challenge, since management will have to negotiate with their unions, who doubtless have little goodwill at the moment. But this cultural refit needs to be done. There must be a system to rapidly replace consistently poor-performing employees who shred consumer loyalty. 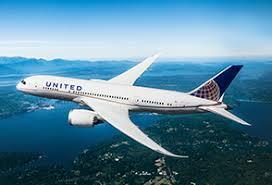 The historic company slogan of “fly the friendly skies of United” is now a laughing stock. The airline’s culture demands a total reboot, with metrics tied to performance bonuses so that service delights passengers rather than horrifying them. A board-driven rediscovery of the “friendly skies” culture can rebuild both a stronger airline, and a stronger-performing stock for shareholders.